Robotics is the branch of mechanical engineering, electrical engineering, electronic engineering and computer science that deals with the design, construction, operation, and application of robots as well as computer systems for their control, sensory feedback, and information processing. Studies have shown that Robotics is one of the most successful motivating factor to get students interested in science, technology, engineering and mathematics fields. Through competitive collaboration, students are actively engaged in communication, critical thinking, and collaborative skills that will lead them to their goal successfully. Eduspec strives to provide the necessities to create a conducive STEM & Robotics learning environment in schools: infrastructure-building, educational technology integration, learning management system, equipment and tools licensing and implementation, teacher training and professional development, and student certifications. 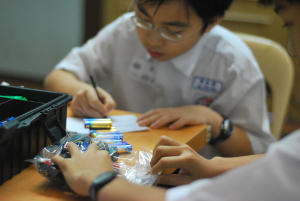 Eduspec partners with Robomatter Inc. to offer STEM Robotics curriculum to schools in Asia. Students who complete the curriculum will earn certifications from the Carnegie Mellon Robotics Academy. STEM with Robotics uses robotics and software programming to engage students in a collaborative project-based curriculum. The program includes a competency-based curriculum that is scalable and sustainable. The curriculum aims to move students progressively toward stronger understanding and, ultimately, greater independence in the learning process. The program also contains academically challenging lessons that will cultivate essential soft skills such as strategic thinking, problem solving and teamwork. Robotics kits create an unparalleled experience to excite students about science and technology, helping them to creatively solve problems in mathematically competent ways. The curriculum focus on the development of 21st century skills in students, incorporating videos, lesson plans, resources competitions, student certifications and more. Students and teachers have opportunities for frequent assessment. Teachers accelerate their role as coaches and facilitators and have access to a vast resource bank of online courses, webinars, online discussion forums and professional learning communities that give them informal and certification-driven credentials. Robotics for School (RFS) uses robotics as a fun tool to explore robotics, mechanical systems, electronics, and programming. 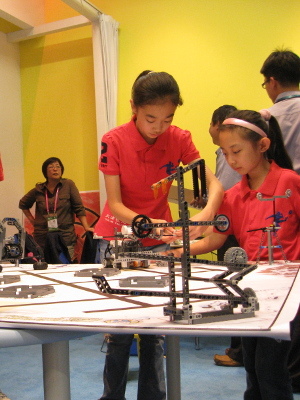 It is primarily a lab experience which provides students with resources to design, build, and program functional robots constructed from LEGO® parts. The workshops are conducted in out-of-classroom learning environments. The workshops challenge students with a series of activities that requires continually re-engineer mechanical creation and fine-tune programs, assessing performance and implementing effective solutions. Hands-on engaging workshops using interactive techniques such as case studies, games, brainstorming, and group projects to provide participants with teaching skills and technical knowledge to teach more innovatively, effectively and efficiently. Initiatives undertaken to build and promote strong social presence in STEM & robotics in the education field. Celebrate students’ accomplishments and engaging them through projects that further develops into great STEM fair displaying original ideas. Provide support to students participating in competition platforms to allow valuable exposure that energize and motivate students to follow career paths in science, technology, engineering and mathematics. Working closely with different regions to promote the importance of STEM education that incorporates the efforts of government, industry and education to transform the education ecosystem.